The new playlist feature has been on GitHub since June 9 and now we finally released alpha 0.8.4 for iOS via Test Flight and Android directly via Google Play Store. It is now possible to not only listen to the radio stream, but also to browse audio files, listen to them straight away and create custom playlists. This is a very exciting new feature, so please install the new version and play around with it. 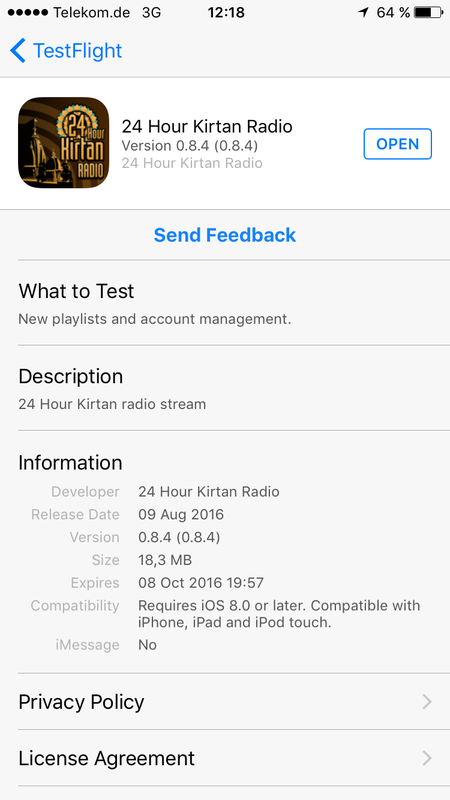 Currently, only a small fraction of Kirtans are available for the beta apps, but we’re going to add more over the next days and weeks. 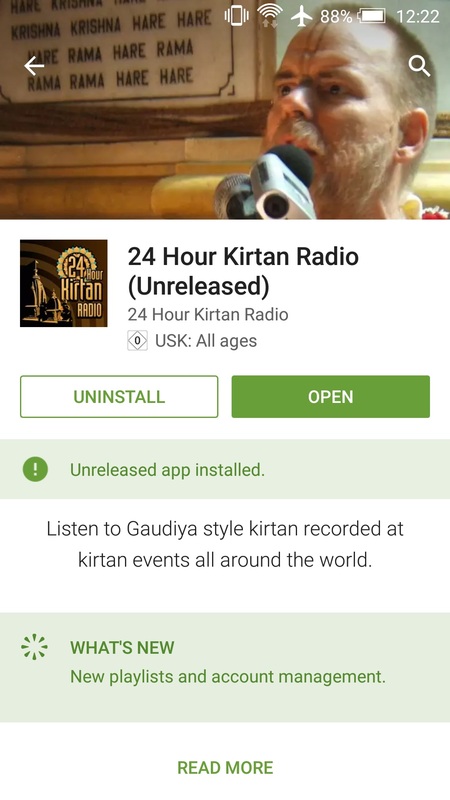 Once we’re coming out of beta, the full range of publicly available Kirtans from 24hourkirtan.fm will be fully available to browse and create custom playlists. If you’re building your own app based on this project, you can of course add your own range of audio files via the Audio Streaming APIs. I would like to use the alpha version of your app on iOS through TestFlight. It is asking for a invitation code from the developer to get access to it. Missed your comment, so sorry! Just sent you an invite for our TestFlight beta version 0.9 which was just released.